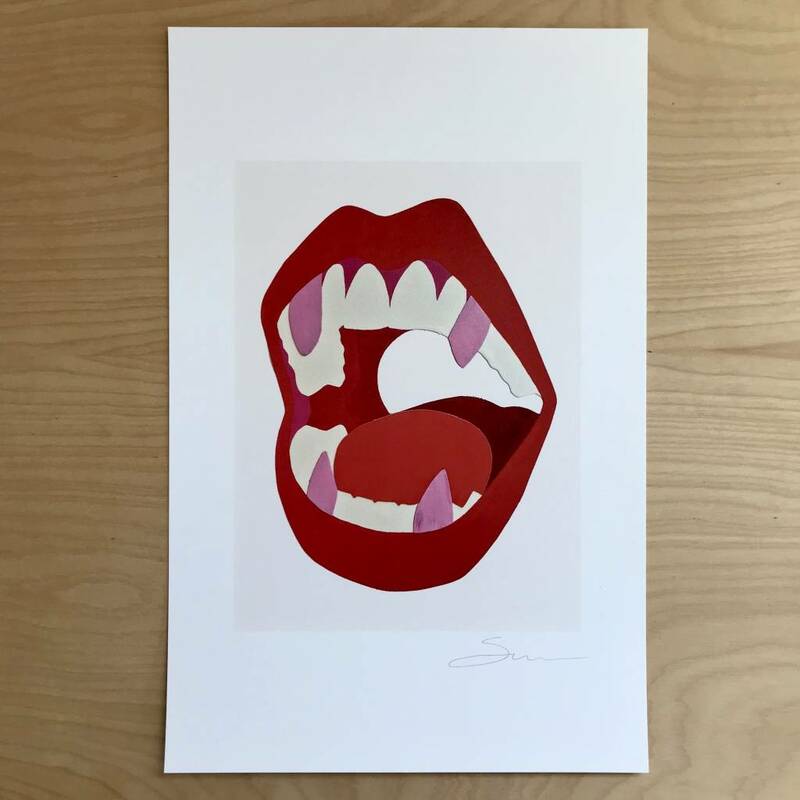 Print of red lips speaking from the heart. 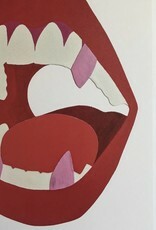 From Sorenson's Chomp! series made from acrylic on canvas and leather cutouts. 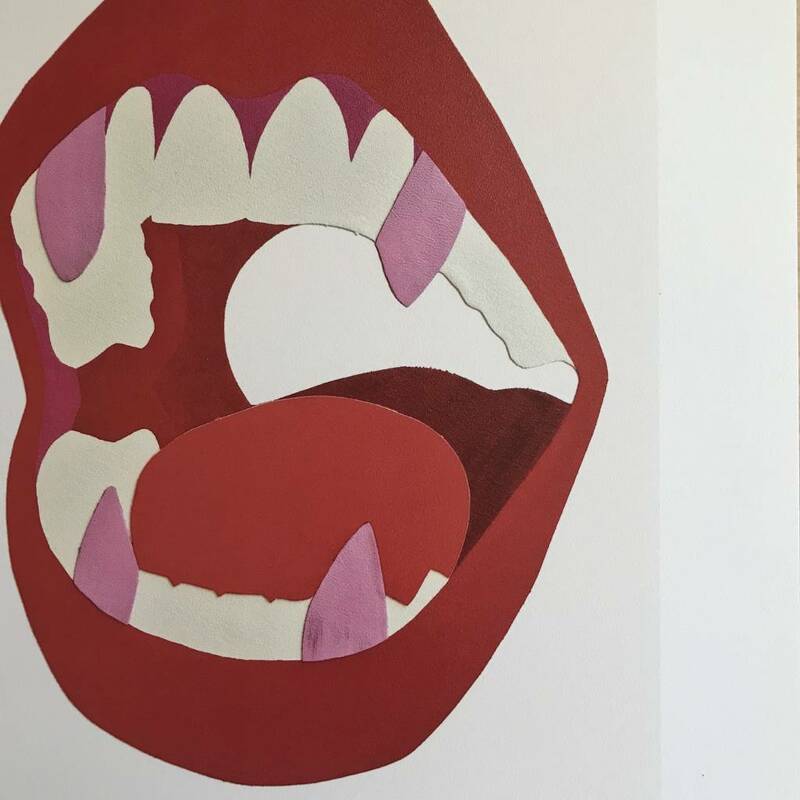 The series is about the icon of the mouth, gaping and open. 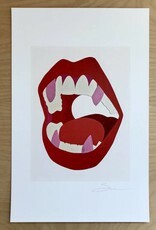 Teeth that are sharp and hungry, lips that are wide open. Combine this with the icon of the heart - it's about telling the truth. Have the bravery to voice opinions, the courage to express. Shipped in a sturdy flat mailer.